I was born on October 12, 1975 in Busto Arsizio, a city in northern Italy, the gateway to the capital of fashion – Milan. As a child I spent much time at my uncle’s restaurant. coming to the guests and offering them caramels. and that is why I decided to choose the career of chef. the institute with high grades. 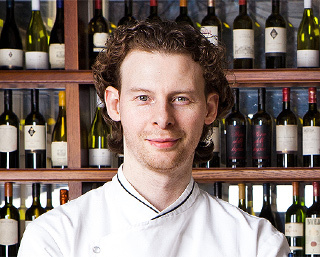 Chef de cuisine Mauro Panebyanko has worked at the restaurant in Moscow for 10 years, right from the day the Cantinetta Antinori restaurant was opened. Mauro Panebyanko became famous during his work in Milan which was followed by that with a Swiss hotel, the opening of a restaurant in Munich and finally, an invitation to work in Russia. That was the beginning of a decade-long journey; however, even during that time not all the secrets of Italian cuisine have been revealed by Mauro to the guests of the Cantinetta Antinori. Sticking to his motto of evoking only positive emotions in guests by offering them elegant simplicity and taste, Mauro combines passion for new experiences, a fresh look on seasonal ingredients and love for cooking, and this brings joy to our guests. And of course, all with an Italian accent.